See a List of Premium Magazine Articles HERE. Do you have questions about the Dyslexic Advantage Premium Membership? Contact us and we will do our best to answer them. Premium Subscription is $60 for One Year – that’s just $5 Per Month. When the PayPal page appears, choose the Pay By Credit card option. You do not need to have a PayPal account. The magazine is sent to you by email but you can also download the file and print on your home printer. By default you will be purchasing a recurring subscription that will renew in one year. If you do not want to be signed up for a recurring subscription or purchase a recurring subscription by mistake, contact us at [email protected] and we will help you. US active duty service families, contact us about our complimentary subscription. Institutional Subscribers: Institutional subscribers will receive print copies of either the Tech Guide and Back to School Issue for the new school year. International institutional members may have extra optional mailing charges. Additional copies can be purchased as available. 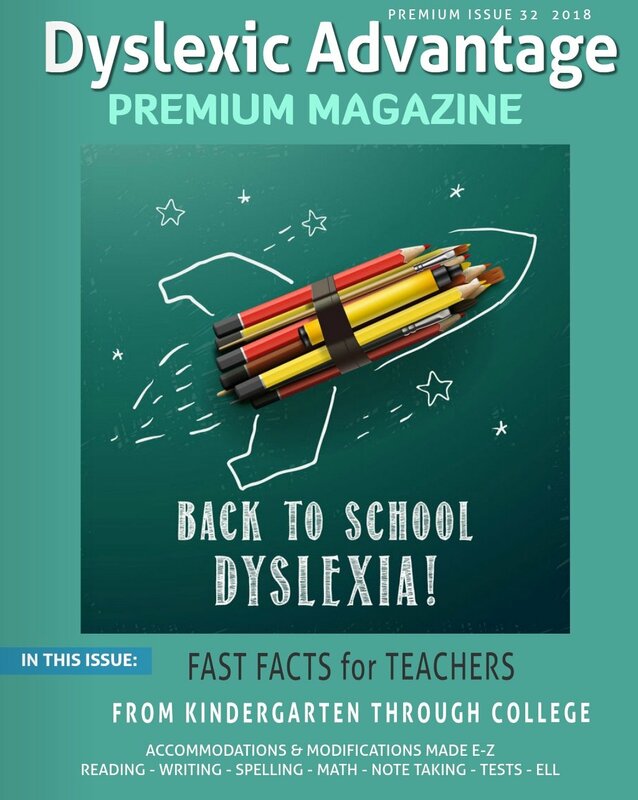 Print copies can be a wonderful reference for a school library, teachers lounge, or student area to increase provide much-needed practical information and positive dyslexia awareness! 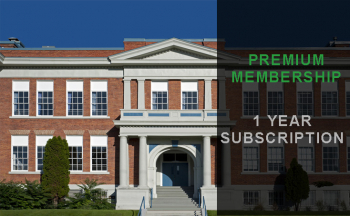 If you are gifting a school or tutoring group with an institutional subscription, you can get a complimentary Premium subscription for yourself, too! Just send us let us know after you’ve placed your institutional subscription. Pay by Mail To pay by mail, download a Premium subscription form below and mail to: Dyslexic Advantage 6701 139th Pl SW Edmonds WA 98026-3223 Pay by Phone You can also leave your phone number and email if you would like to process a payment by phone (1-800-757-8310 X 700). You may need to be patient if you contact us by phone as we have only a very small staff. Regular mail is preferred to phone. Premium Membership subscription form (PDF format) HERE. Premium Membership subscription form (Word format)HERE.